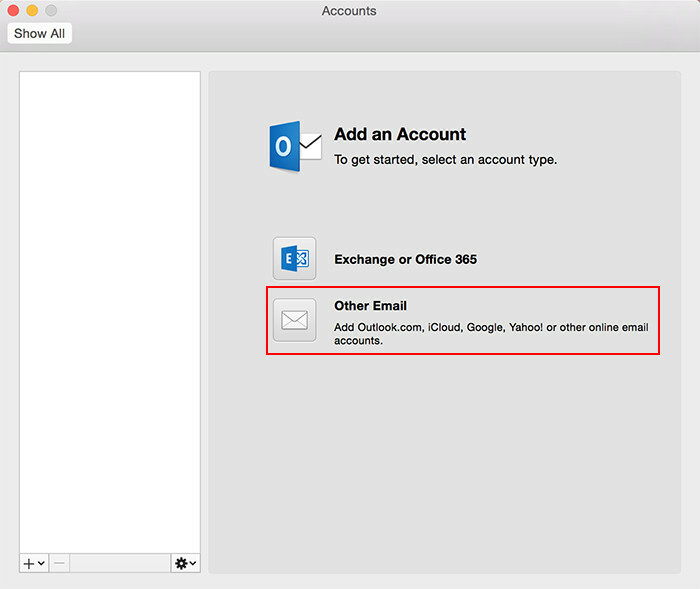 If this is your first email account being setup in Outlook for Mac, you will be taken to the below Accounts window. Select 'Other Email'. 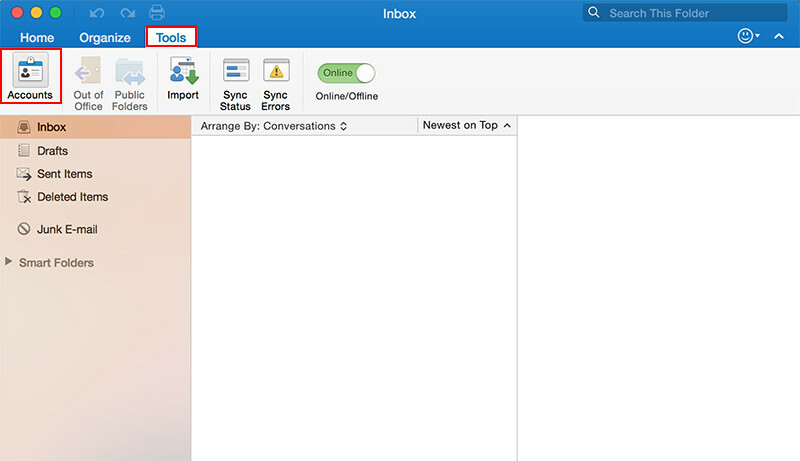 If you have existing accounts, select the "+" button on the bottom left corner and choose "Other Email". Next fill in all your email account settings as per below. 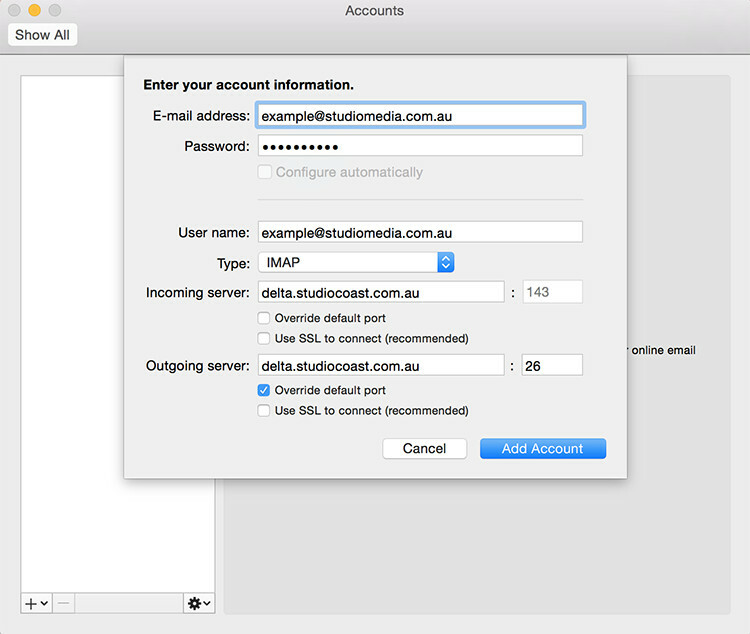 Once completed, select the "Add Account" button. Type: Select POP or IMAP. If you are unsure which to choose, see the following Knowledge Base article link on Should I choose POP3 or IMAP?. Incoming Server: Your email account's incoming mail server. To find this, please refer to your Account Information by logging into hostControl. Outgoing Server: Your outgoing mail server will be the same as your incoming mail server. Outgoing Port Number: Check the box "Override deafult port" under outgoing server and type in 26. You will then be brought back to the Accounts window. 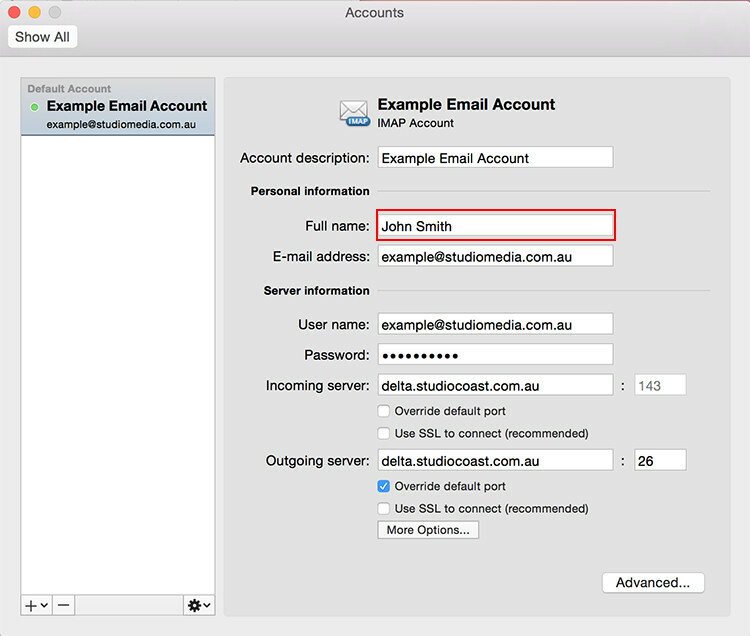 Enter in the name you wish to appear when you send recipients emails, in the "Full Name" field. You can also give your account a description, which is for your reference only. You can then click the x in the top left corner and begin using your email account.